Greenville House Cleaning proudly supports our local community and wishes to strengthen our local economy by standing by the very businesses that have helped to form the place where we live and grow. Below you will find local businesses that go out of their way to help make your day a little brighter. 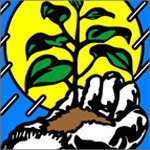 Carolina Greenscape Management, our leadership has over 80 combined years of experience in the Green Industry. We were formed with the mission of reducing not only our company’s carbon foot print, but reducing the Green Industries as well. We aim to reach the highest standards of both our customers and our environment. Our mission is to give our customers the curb appeal they need to help their business thrive. Home at Last Inc., the oldest consignment furniture store in Greenville, provides an ideal way to sell household furnishings without having the inconvenience of phone calls, broken appointments or opening your home to strangers. REMEMBER, nothing is too old (yes, we accept antiques) or too new! 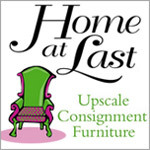 Home at Last, Inc will sell your home furnishings on consignment and at Greenville’s most competitive prices. Your items will be displayed in room groupings and that are attractively accessorized. Visit our website for contact info, location and hours of operation. 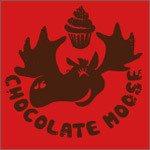 Treat yourself to our homemade desserts, fresh muffins, and famous cupcakes in dozens of delectable flavors! They’re all baked fresh daily in a fun family atmosphere. Stroll in and tickle your taste buds at 120 North Main Street in downtown Greenville.